Did you know we spend over 32,000 hours eating in our lifetime? Preparing your meals on non-toxic and durable cookware is just as important as eating with utensils that are also safe and designed to last. When you purchase cookware and flatware made in the USA and manufactured in America you are giving yourself the piece of mind that the products you use daily are safe for you and your family. Here are some great options to consider when you are looking to buy USA made flatware and cookware that is manufactured in America, made to last and looks great too. 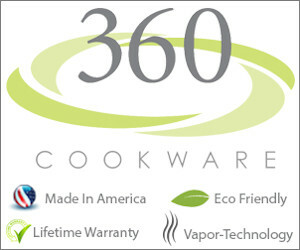 360 Cookware manufactures stainless steel cookware and bakeware that is American Made, Eco-Friendly and Heirloom Quality. Their cookware uses waterless vapor cooking that lets you make healthier, tastier meals. America’s Flatware Company. 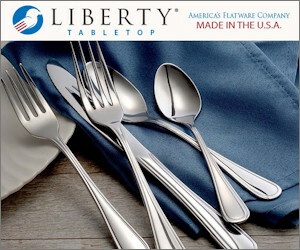 Liberty Tabletop offers Quality, Value and Design for Your Table. They have an excellent selection of flatware patterns for every budget. 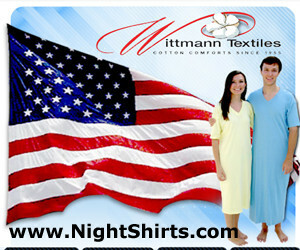 All 100% Made in the USA. Lloyd Pans Kitchenware is Non-Toxic, Metal Utensil Safe and made in the USA since 1986. Because what you cook with is just as important as the foods you eat. Shop for cookware, bakeware and pizza pans. Alfi knives are engineered and crafted with pride in America. Their knives are the ultimate workhorse for daily use and never need sharpening. Available in an assortment of colors and an essential staple in your kitchen. The Original Tin Cup® was inspired by the American ingenuity of the past. Their stainless steel cups are fully customizable and designed to enhance the flavor of any beverage enjoyed from them. Proudly made & packaged in Michigan. Norton’s U.S.A. general store carries American Made Kitchen & Housewares products. 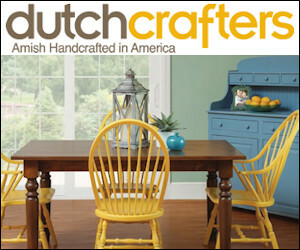 Shop their selection of flatware, baking supplies, food storage, cookbooks, cutting boards and so much more online and in their Barrington, IL store.